Since pro-democracy protests erupted in Libya in February 2011, thousands of civilians have lost their lives and many more have fled their homes. Despite the loss of lives, suffering of innocent civilians and loud international and national calls for Colonel Gaddafi to step down, the strongman, in typical African leadership fashion, is showing no signs of ceding power or implementing democratic reforms. The consequences of Gaddafi's defiance and heavy-handed crackdown on calls for human rights and democracy in Libya are there for everyone to see. Earlier this week, the human rights community took a direct hit from the conflict when Misrata, a city in northwestern Libya, was shelled and a mortar claimed the life of award-winning photographer and film-maker - Tim Hetherington. 40-year-old Tim was killed on 20 April 2011 in Misrata while documenting the conflict. According to a tribute to Tim Hetherington by Human Rights Watch, the British photographer and film-maker closely collaborated with the organization and covered many human rights stories, including violations in Afghanistan, Liberia and Libya. 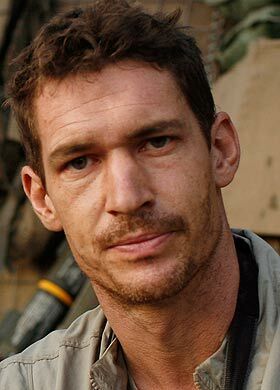 Tim Hetherington also documented atrocities in Sudan (Darfur), Chad and Sri Lanka. Human Rights Watch acknowledges that the death of Tim Hetherington is a "devastating loss to the human rights community." There's no denying that Tim Hetherington was killed in the line of duty - documenting human suffering in Libya as a result of Gaddafi's quest to cling to power after 42-years in office. On 26 February 2011, the United Nations Security Council referred the situation in Libya to the International Criminal Court. The passing of Tim Hetherington and many other unarmed civilians in Libya reiterates the urgent need for the prosecutor of the International Criminal Court to speed up investigations of war crimes in Libya and bring perpetrators to justice. Thanks to brave people like Tim Hetherington, atrocities in Libya and other parts of the world have been well-documented. A day before he was killed in Misrata, he wrote on his Twitter page: "In besieged Misrata. Indiscriminate shelling by Qaddafi forces. No sign of NATO." Tim was killed in the line of duty with another photojournalist - Chris Hondros. The international community as a whole, under the leadership of the United Nations and NATO, should step up the pressure and do more to protect civilians on the ground. i felt almost heart broken when i read this in the paper today..and did you here about the pakistani gangrape victim mukhtar mai's case? the supreme court let the culprits walk free!!! !